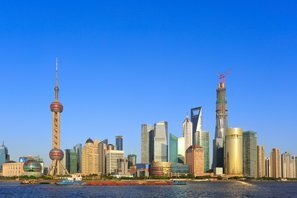 The Shanghai Tower and Financial Center are prominent on the Shanghai skyline. 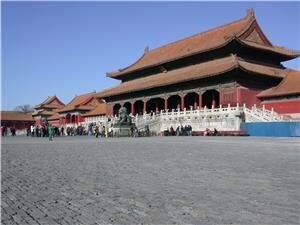 About fifteen years ago, China was a land of 10-to-30-story buildings filling up the downtown areas of the big cities. Skyscrapers were rarely seen. 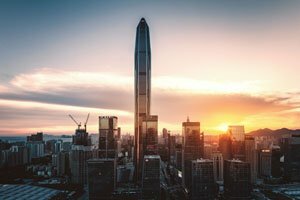 Almost suddenly, in early 2016, China has nine of the world&apos;s twenty supertall buildings, all above 400m, more than any other country. This list only includes "buildings", not "towers", notably the Canton Tower (600 m) and Oriental Pearl Tower (468 m). 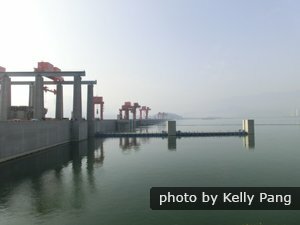 All are in the Yangtze Delta (Shanghai, Nanjing) and Pearl River Delta (HK, Shenzhen, Guangzhou) areas, mostly built in the last six years. Shanghai Tower is the second tallest building in the world after the Burj Kalifa. The Shanghai Tower towers 140 meters (459 feet) above the adjacent Shanghai World Financial Center. It is a showcase of 21st century engineering with a spiraling cylindrical shape to help the building weather typhoons. 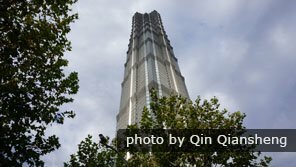 It won&apos;t stay at this spot for long though because Goldin Finance 117 in Tianjin that might open in 2017 or 2018 is 597 meters tall.The new Ping An Tower is a 21st century engineering marvel. Though it is very tall, it was built comparatively inexpensively and quickly. There is a large twin tower luxury mall complex on the bottom, a world-class observation deck at 550 meters (1,804 feet) for sightseeing, and the world&apos;s second highest luxury hotel, after the Ritz Carlton on the ICC, on top. 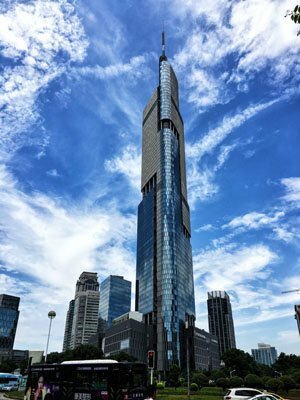 The new building stands out as one of two supertall towers in Tianhe in downtown Guangzhou. It is considered the fastest assembled skyscraper of the supertall variety in history. The Taipei 101 building in Taiwan would be at spot 3 (for its big spire) if it were included in this list. 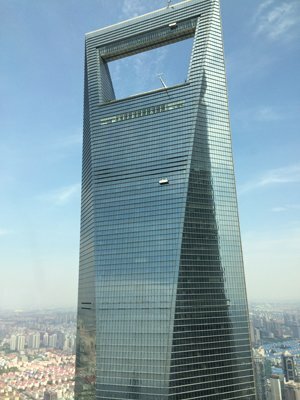 The Shanghai World Financial Center has an observation deck on the 100th floor at 474 meters (1,555 feet) for sightseeing and a Hyatt Regency luxury hotel. The hotel is the world&apos;s third highest. 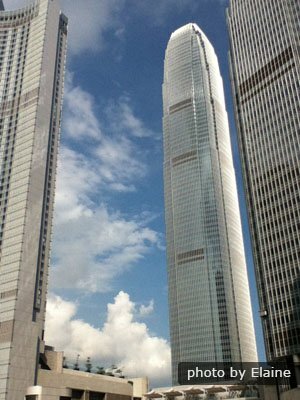 The ICC Tower overlooks beautiful Victoria Harbor. 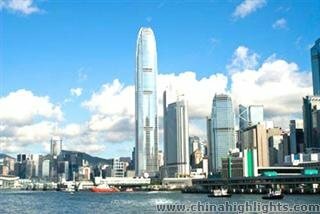 It is part of a new financial hub in Hong Kong that is one of the world&apos;s top financial centers. The land itself cost about 1 billion USD. Sky 100 is a 100th floor observation deck, and its Elements Mall is one of the best in the city. It has the best lighting display in the Symphony of Lights. Its silhouette is somewhat like Willis Tower in Chicago, and it is a little taller. It is remarkable because it stands alone in Nanjing as the only very tall building, and it was built inexpensively for its height. The building lights up the night sky in Luohu, Shenzhen near Hong Kong, and the 100th floor observation deck gives a grand view of the greenery of Hong Kong and the blue sea. It sits in an emergent financial center in the city. Read more on KK100. An observation deck on the 100th floor and a Four Seasons Hotel on the 69th to 98th floors are the tourist highlights. It is one of the twin towers of Tianhe. The Jin Mao Tower now sits in a tight circle with the Shanghai Tower and the Shanghai World Financial Center. Its large 88th floor observation deck is a tourist highlight. This complex of three IFC towers concludes this list of 10 tallest skyscrapers, but it is by no means the least interesting for tourists. 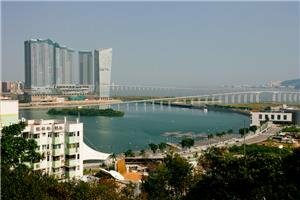 It include a popular and ritzy luxury mall, beautiful Victoria Harbor views, and the Four Seasons Hotel. As of 2016, it probably has the best and most convenient transportation links of any of these buildings with four subway lines, a popular tram, and major ferry terminals around it. We can take you to the Shanghai Tower and arrange dinners or a stay in the J Hotel at the top if you wish. See Shanghai&apos;s modern wonders and classic side on our Shanghai tours. Contact us. 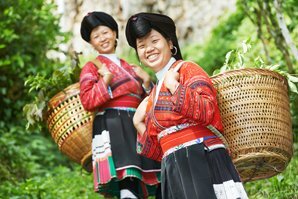 5-Day Hangzhou and Shanghai Tour — includes going to the Shanghai World Financial Center. 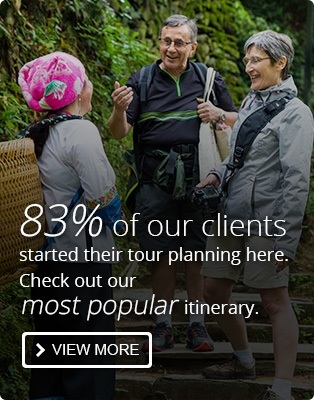 Take China Highlights&apos; private transport for a smooth trip. Shenzhen is becoming a tourist destination and a bargain shopping area. We can take you to the KK100 or the Ping An Tower and arrange for stays in the hotels and dining in the restaurants. See Shenzhen&apos;s modern wonders and laid back style. 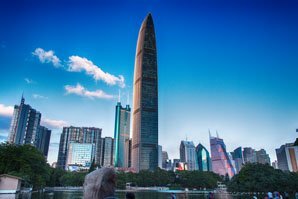 4-Day Guangzhou and Shenzhen Tour: We can easily include dining at a high gourmet Ping An Tower restaurant for lunch or dinner.